This VESA mount kit will let you mount our BP150, BP160 or BP220 battery and other devices to the back of a LCD monitor or other places. Dimension: 250mm x 155mm x 40mm, or 10" x 6" x 1.6". 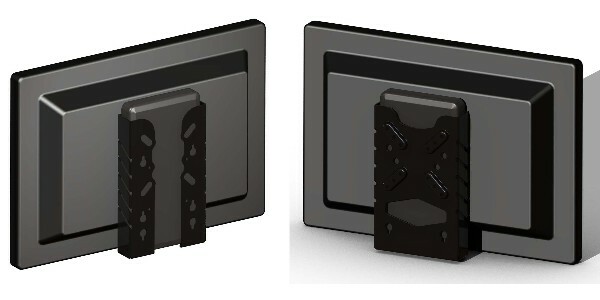 Both sides of this mount kit have VESA mount holes. 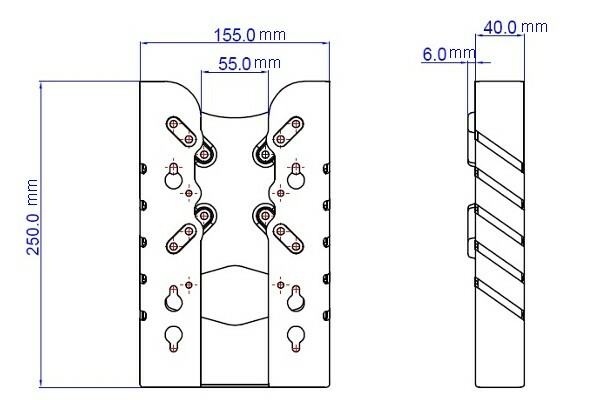 One side is compatible with VESA 50, VESA 75 and VESA 100; Another side is compatible with VESA 75 and VESA 100. The package comes with standard VESA mount screws. Mount BP150/BP160/BP220 battery to the back of LCD with this VESA kit.